Russia agreed to extend by six months overflight approvals for U.S. airlines, the U.S. State Department said yesterday (17 April), just hours before an agreement on overflights was due to expire. "The Ministry of Transport informed us that it will extend overflight approvals for U.S. airlines for operations on three routes through October 28, 2018," U.S. State Department spokesperson Heather Nauert stated. "The Ministry of Transport extended approvals for all-cargo flights from Asia to Europe through April 20." The new overflights agreement must be negotiated directly between the US carriers and the Russian government, and the State Department is serving only as a facilitator to the talks, Nauert said. Discussions on the overflights unfolded amid tensions between Moscow and Washington after the United States, France and Britain launched missile strikes in Syria on Saturday aimed at curbing that country’s chemical weapons programs. 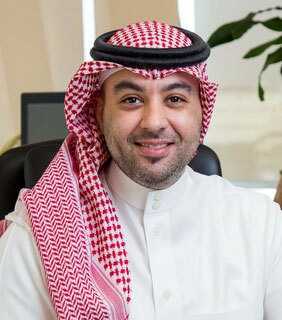 Main task of the new CEO, who succeeds Nabil Khojah, is to strengthen the capacity provider’s current market position in accordance with the airline’s transformation strategy. That includes the upgrading of all services rendered, the promotion of performance and production and the strengthening of security and safety aspects in all stations and facilities to meet the international quality standards. Saudia Cargo is in the midst of its 2020 transformation program launched early 2017. The project is in line with the carrier’s 2030 vision, aiming to upgrade the various services and sectors. The Miami-based U.S. cargo airline Centurion Air Cargo has not been having an easy time lately due to the United States Department of Transport (DOT) insisting they comply with regulatory issues, otherwise they run the risk of their license being further revoked. In early April the carrier sent the DOT a petition requesting that they not revoke Centurion’s economic authority despite the fact that Centurion had passed the three-month deadline set for it to comply with fitness regulations. The deadline ended on 31. March and the carrier had till then not delivered proof to the DOT that they meet the Department’s fitness rulings or that they are doing their utmost to show the Federal Aviation Administration (FAA) that they have taken all steps to have the FAA Operations Specifications brought up to a standard which would allow them to restart operations. At the end of March Centurion filed for an indefinite stay of execution with the argument that their owner and Chairman, Alfonso Rey, is in deep consultations with a potential investor in the United States who would be willing to supply the necessary funds in order that Centurion Air Cargo could take to the skies again. Whether the DOT will be lenient, remains to be seen. The Schiphol Aviation Awards ceremony is held mid-April. The annual awards ceremony is arranged by Schiphol Group to recognize customers and business partners that have made a strong or positive performance for the airport community. There are four categories which are Cargo Airline of the Year, Passenger Airline of the Year, Intercontinental Passenger Airline of the Year and a Sustainability Award. KLM Cargo got the Cargo Airline of the Year Award for being what the jury said was their leading role as a key driver for Cargo Community projects. This applies also to their Smart Cargo Mainport Program and Holland Flower Alliance project. They won the award over the two other nominees who were AirBridgeCargo and Turkish Cargo. Best passenger awards went to Transavia and American Airlines (Intercontinental). Is this Airbus concept really a smart idea? Is Airbus willing to sacrifice belly space for passengers? There were recent reports in the German press that Airbus managers are presently studying whether it would make sense to look at allocating part of the belly space in future long-haul models for passenger convenience rather than having the space allocated for the carriage of cargo. The idea apparently came from the French aircraft interior design and manufacture company, Zodiac. It was presented at the recent Aircraft Interiors Expo in Hamburg, and it is said that Airbus and Zodiac signed an agreement to develop a model for this. 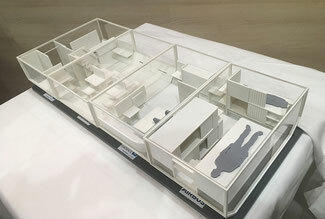 The plans for the lower deck passenger use range from allocating sleeping spaces, meeting rooms, fitness centres or even playrooms for children. There is even the idea of creating a lower deck restaurant with an own kitchen. Are they crazy? The present long-haul fleets of Airbus and Boeing are popular with freight agents as they can carry quite some tonnages even over non-stop long-distance routes. This is important for the air cargo industry seeing as the pure freighter fleets have shrunken somewhat over the past years. How can airlines make money by disregarding cargo in part of the lower deck in favour of kids’ playrooms or fitness centres? Zodiac and Airbus plan to have the test model on an A330 aircraft in operation by 2020 - at least that’s what they say. Hopefully airlines will laugh at the idea and the whole thing will be put in the waste bin. Will Leipzig become Germany’s favorite cargo airport? Germany took a long time to form a government after the general elections which were held last September. Finally, a CDU/CSU/SPD coalition was formed and it seems that in the agreed coalition agreement there is a clause which states that all parties would support making Germany a more attractive centre for air freight activities. It is said that Leipzig Airport which is the home of DHL’s largest sorting centre, should be given preference because of its central location and 24/7/365 operational times. The document states that Leipzig should get more landing right slots for freighters and become the central airport in Germany for freighter movements and cargo turnover. Maybe good news for UK-based CargoLogicAir (CLA) who are looking for a German AOC (see CargoForwarder Global 13. April) because of the upcoming Brexit. CLA has ex Qatar Airways Cargo chief, Uli Ogiermann looking at the possibility of obtaining this AOC.